The Eastern Moors are a great place to study both damselflies and dragonflies. Our fast flowing streams are the perfect habitat for the golden ringed dragonfly which is one of the largest in the UK – look for the green eyes! The season starts in May with the large red damselflies and then before the end of the month we should see the first dragonflies – the four spotted chasers. 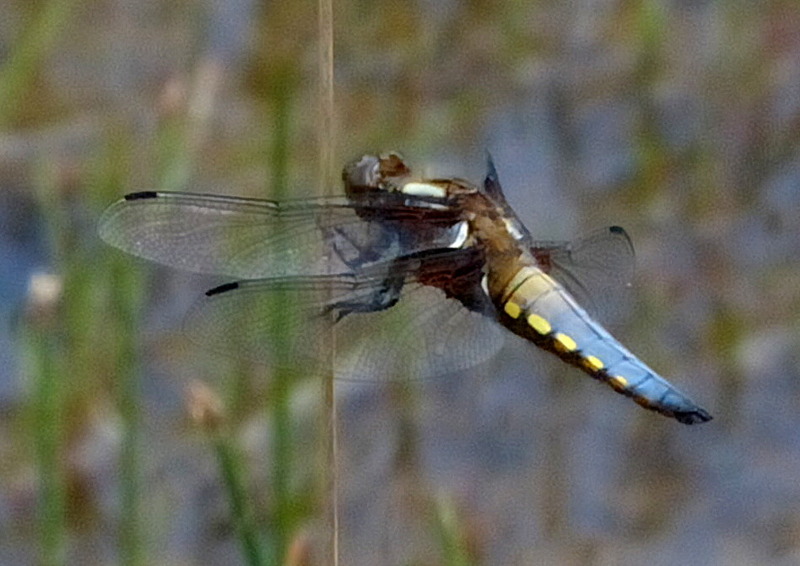 In June the blue dragonflies start to appear and our 2 main residents are the broad bodied chaser and the blue tailed skimmer. Not to be outdone the damselflies also enter a blue period and we regularly find the common blue, the azure and the blue tailed. It is a real art to distinguish between the first 2 and it is more complicated in that they live within each other’s territories. July brings the classic dragonfly, the emperor. This busy large insect rarely settles and can be seen going up and down the pool banks looking for food and a mate. At the same time the emerald damselfly makes it’s appearance. This is a dainty creature is abundant in the right conditions and spends much of the day sunbathing, clinging onto a reed or grass. 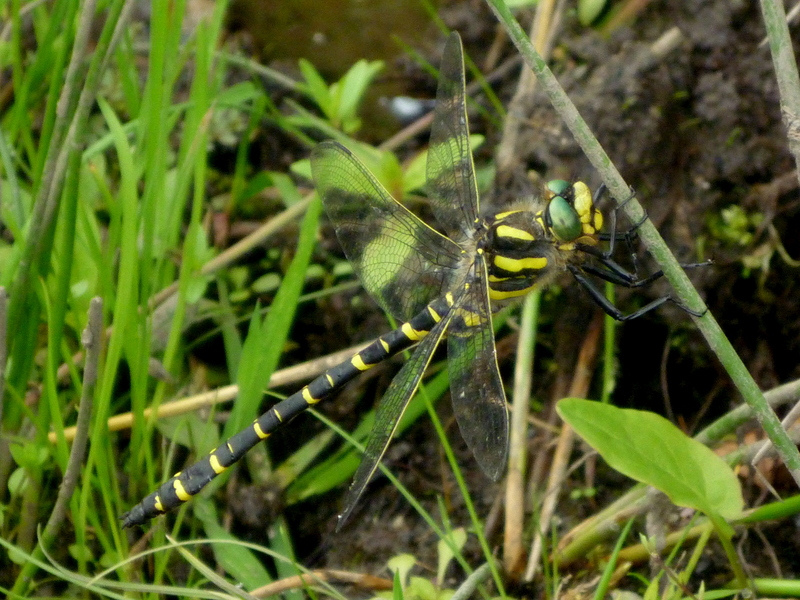 This is also the time to see the golden ringed dragonfly. August sees a change as some of the earlier species are dying out and the hawkers start emerging. The main ones on the Eastern Moors are the Common Hawker, the Southern Hawker and the Brown Hawker. Occasionally we are honoured by the presence of a Migrant Hawker. Each of these species has its own features and on a warm summer evening they can be seen buzzing each other and hunting for midges. 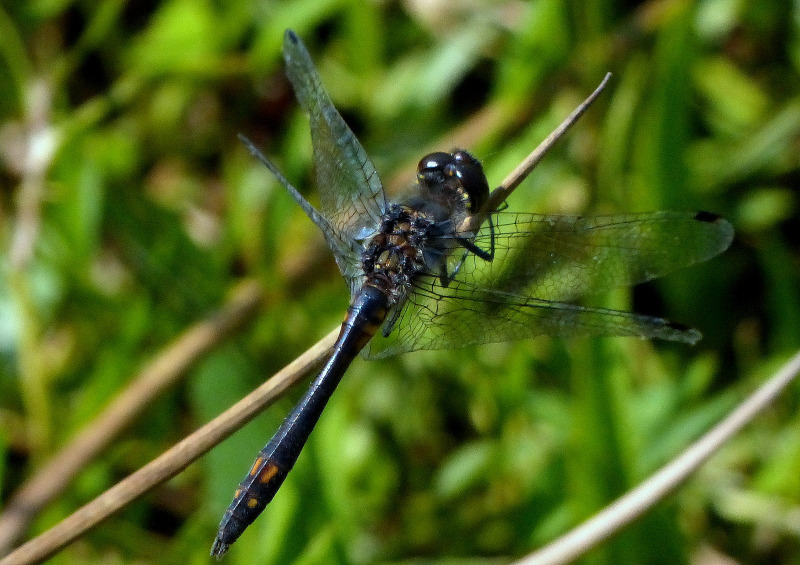 The last dragonflies to emerge are the darters. Our 2 main residents are the common darter and the black darter. They love both moving water and stagnant ponds and thrive on the acid moors. Both insects are quite common although the female black darter is often mis-identified as it is not very black! In mild years dragonflies and a few damselflies can still be seen in early November but a sudden frost can quickly end the season for another year.